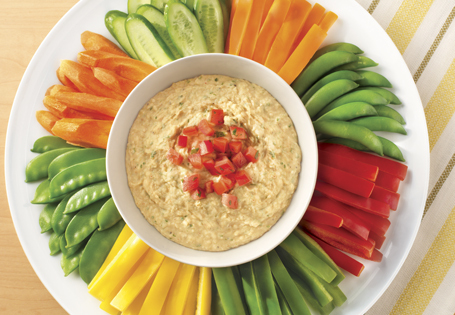 A zesty new way to eat hummus. In a food processor, combine hummus ingredients until smooth. Transfer hummus to a serving bowl. In a small bowl, combine garnish ingredients and place on top of hummus. Serve with vegetables or warm pita.